Let us help you create a solid foundation for healthy teeth and gums. Our preventive services are designed to refresh, revitalize, and protect—after all, isn’t it easier to care for a problem when it’s still small? And, your whole family can enjoy our warm, gentle approach, so feel free to bring yourself and the kids! 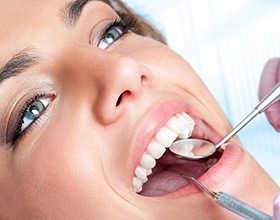 You deserve to relax as we take care of not only meeting, but exceeding your dental needs. 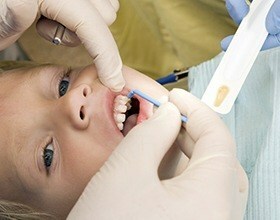 Your entire experience here at Yenzer Family Dental will start with a standard checkup and cleaning. One of our excellent hygienists will use sophisticated tools to remove any plaque and tartar that has accumulated on your teeth, particularly targeting those areas your brush and floss can’t reach. Then, Dr. Jeff Yenzer will perform a comprehensive oral exam where he’ll look at the health of your teeth, gums, and existing dental work. If he spots a problem, he’ll quickly be able to intervene to stop it in its tracks. Periodontal disease (better known as gum disease) is actually the most common dental problem in the entire world, and it’s even the leading cause of tooth loss! To combat this pesky problem, we’ll screen your gums whenever you come to see us, and should we see signs of an infection, we’ll be able to promptly address it using periodontal therapy. 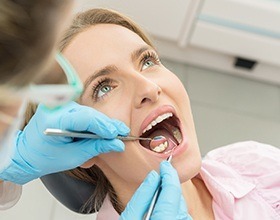 A scaling and root planing treatment is like a dental cleaning that’s focused specifically on your gums, and it will help control your gum disease as well as lower your chances for reinfection. We may also use our soft tissue laser to quickly and painlessly vaporize harmful bacteria and remove infected tissue. The back teeth (known as the molars and premolars) have very rough, pitted, and grooved surfaces that make them excellent for chewing food, but they also make them particularly susceptible to developing cavities, especially for young children who are still learning to brush. 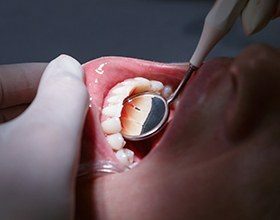 These surfaces tend to trap food particles and plaque that can lead to decay, so to prevent this, we can apply what is called a dental sealant to the teeth. It’s a clear, thin layer of a plastic-based substance that will establish an invisible barrier plaque and food particles cannot cross, effectively stopping both tooth decay and cavities before they can even begin. Bruxism is a very common condition where a person unconsciously clenches their jaw and grinds their teeth while they sleep. Left untreated, it can wear down enamel, make the teeth more sensitive, and even cause them to break! If this is an issue for you, we can help you handle this sneaky problem with a nightguard. 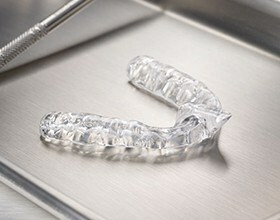 It’s a small, custom-made mouthpiece you’ll only need to wear to bed, and it will place a comfortable, protective barrier between the teeth to prevent them from grinding together. Last year alone, nearly 50,000 people were diagnosed with oral cancer, and sadly, many will not survive the next five years because the disease was not detected until it was too late. Oral cancer is actually very treatable when caught early, which is exactly why Dr. Yenzer recommends that everyone should receive at least one oral cancer screening each year. To make things nice and easy, he can actually perform one as part of your regular checkup. It only takes a couple of minutes, and it could literally be the thing that saves your life. Fluoride is a wonderful gift from nature! It’s a mineral found in many foods that is able to strengthen the teeth against both decay and cavities. This is why it’s a common ingredient in toothpastes and is often added to public water sources. 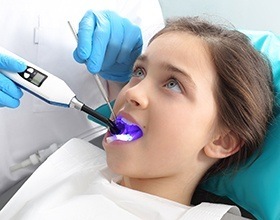 To give your family’s smiles a little bit of extra protection between appointments, we can provide you and your children a professional fluoride treatment at your regular checkups. It only takes a minute, it’s painless, and it will help keep everyone’s teeth problem-free for the next six months! The last thing we want for anyone is for them to be in dental pain and not able to get help. 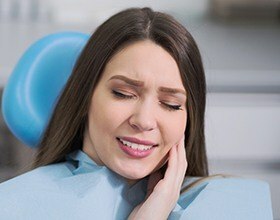 Should you or a loved one experience a dental emergency, you can always call Yenzer Family Dental for the immediate, professional care you need. We’re often able to see emergency patients the same day that they call in! Taking care of Chesterfield’s littlest smiles is one of our practice’s favorite things to do, and we would love to meet the youngest members of your family! 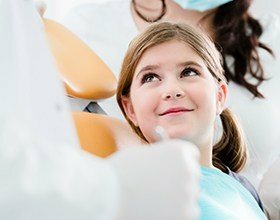 At our practice, we have just the right combination of specialized treatments, patience, and a gentle touch to ensure that your child always has a comfortable and relaxing time during their appointments.